This weekend I made some amazing muffins for breakfast. I am actually impressed on how wonderful they turned out. They are so light, fluffy and has great flavor, plus they are just over 100 calories and less than 1 gram of fat. Take that fatty muffins! I love muffins as a treat and with these muffins I don’t feel guilty what so ever! 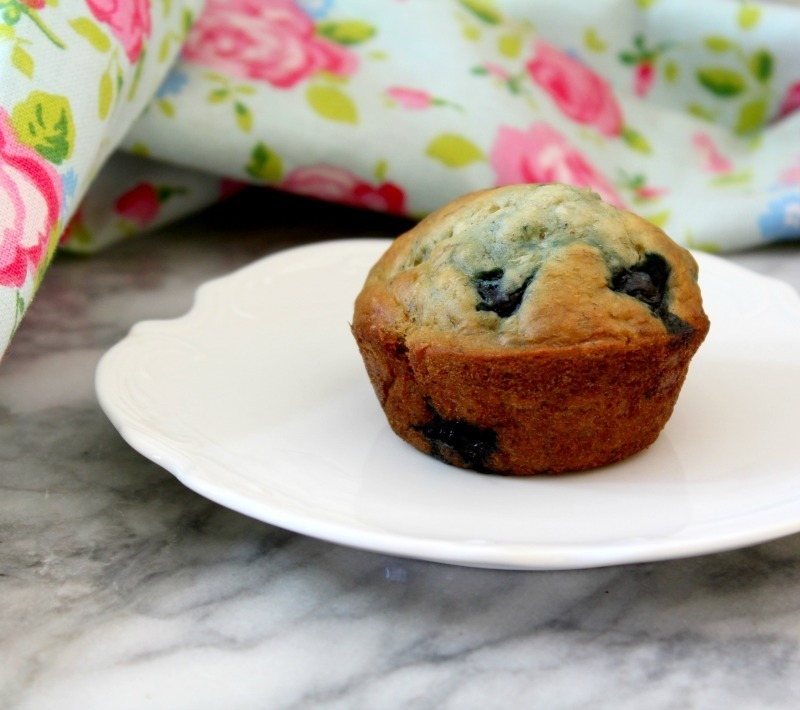 Oh, the muffins I am sharing with you are my newest member to my muffin collection; Skinny Blueberry Banana Muffins. These muffins are so good! They do not contain any butter or fat! I made them with greek yogurt for protein boost and moisture. Also the banana also keeps the muffins nice and moist. The muffins have a nice banana flavor and are not overly sweet. I don’t like my muffins to sweet. The blueberries add a nice pop of color and flavor. I love when the blueberries pop in my mouth. 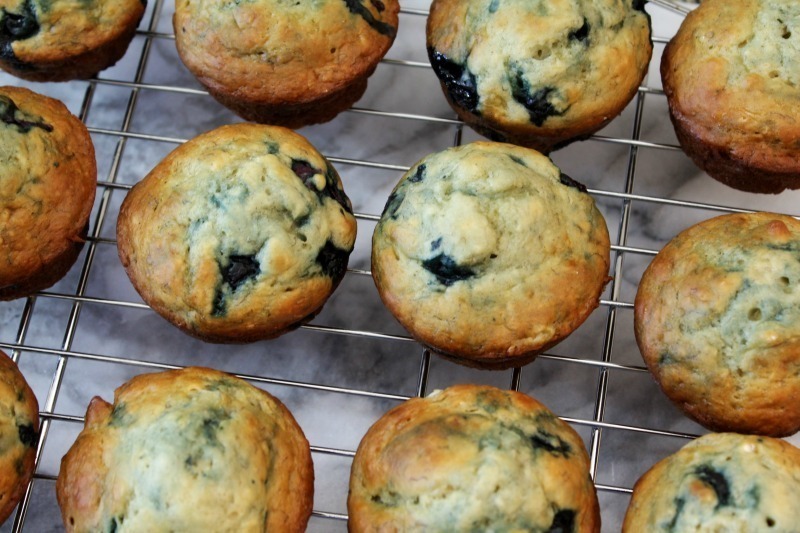 This recipe makes for 17 wonderful, average size muffins and they are rounded out perfectly. I hate when my muffins turn out flat, but not these bad boys. They fluffed up nicely. 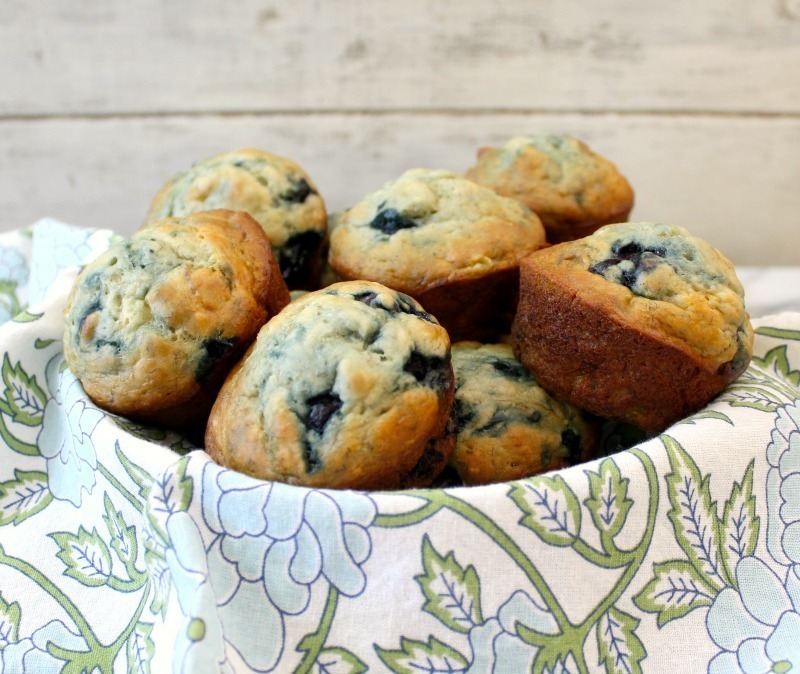 The muffins are perfect for serving at brunch or breakfast, but also make a nice on the run breakfast. I froze my muffins and will grab one in the morning to have at work with my coffee. Can’t live without my morning cup of Joe! 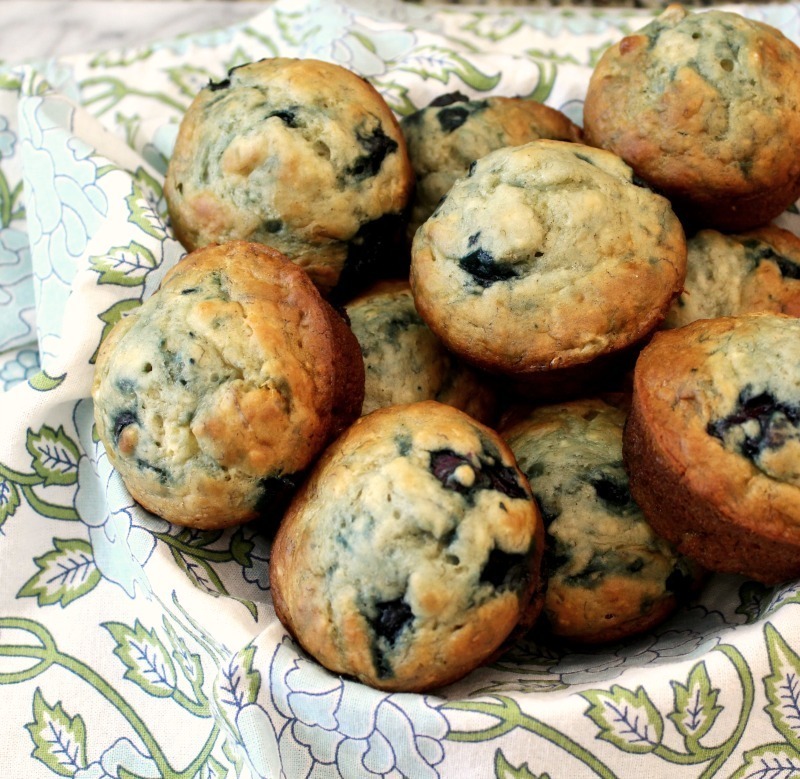 I am really pleased with these Skinny Blueberry Banana Muffins. My Husband had no clue they are healthy for you. The texture of the muffins are very nice. When you pick them up they feel light and airy. But when you bite into them, you get a nice moist muffin with lots of banana flavor. For extra flavor I added Cardamom, but you could add Cinnamon if you like. 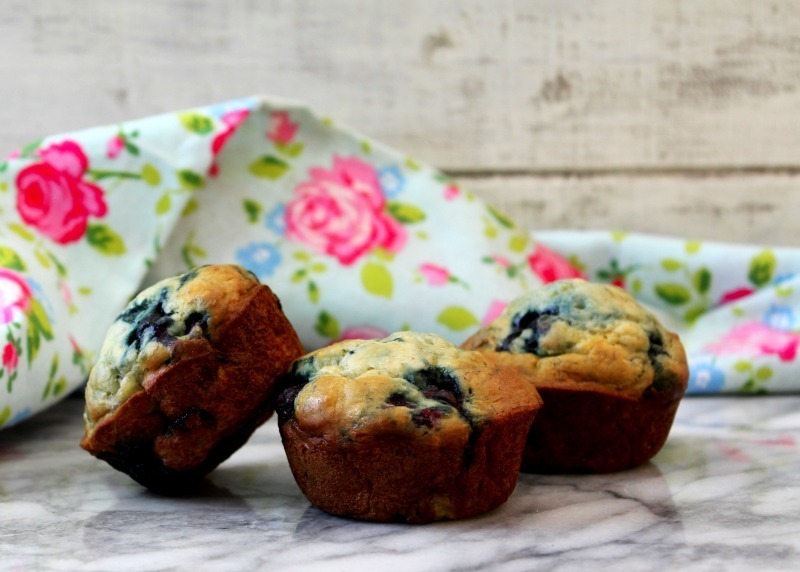 Light fully muffins with an amazing banana flavor with big pops of blueberry. No oil or butter, made with Greek yogurt for a healthy, guilt-free kick! Plus just over 100 calories and less than 1 gram of fat! Score! Spray a muffin tin with cooking spray. Do not line with cupcake/muffin paper cups. The muffins will stick to liners. In a bowl, add flour, baking soda, baking powder, salt and cardamom; whisk until well combined. Set aside. In a large bowl, mash banana's and add sugar, egg, and vanilla extract. Mix until well combined. Stir in yogurt and milk. Carefully stir in flour mixture; mix until just combined, but do not over mix. Fill muffin tins almost to the top. Bake in oven for 18 - 20 minutes, until lightly browned and toothpick entered in the center comes out clean. Let cool in pan for about 10 minutes. Take muffins out of tin and let cool on a cooling rack. Tastes amazing warm. Store in a sealed container for up to 3 days or refrigerate for a week. Can be frozen for up to 3 months. All I can say is yum! I love when you throw together a recipe and it turns out great! 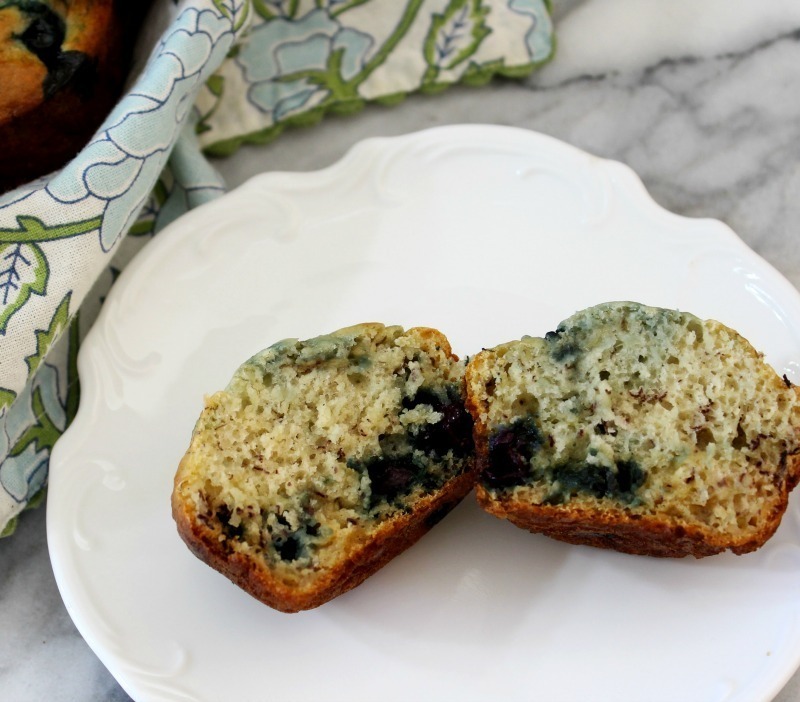 I must admit these make the top of my list and I am sure to be making these Skinny Blueberry Muffins soon! Oh boy ! I will be back 🙂 Soon ! These turned out quite nice! I used almond milk instead of coconut but I did add some shredded coconut to batter. My blueberries were very large and I should have used a lesser amount, but all in all quite tasty for the calorie count! Do you use a 12 muffin pan or a 6 muffin pan? Hi Brock, I use a 12 muffin tin. Made these and they are SUPER yummy! For all my Weight Watcher friends these are 4 Free Style Points! Awesome! I am so glad you like them!